Click below to listen. Go to Sermons page to download file. 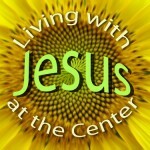 Beginning Sunday, July 12, I am starting a sermon series entitled “Living with Jesus at the Center” – a study of the New Testament book of Colossians. Colossians is a short but rich book that has a lot to say about our way of thinking about God, Jesus, the world around us, and our lives. Many of us call ourselves Christians, and we say we follow Christ. Colossians jolts us with the declaration that it’s not enough to have Jesus as a part of our lives; he must be central in every area of our lives. According to Colossians, Jesus is our creator, our savior, the very image of God, the supreme ruler over all creation, and the one who wants to radically transform us. So for the rest of the summer, join us on our journey through this wonderful book, and be prepared to open up your heart and life to the glory of Jesus that God wants to reveal to us.